Horseback riding on your Vermont vacation! 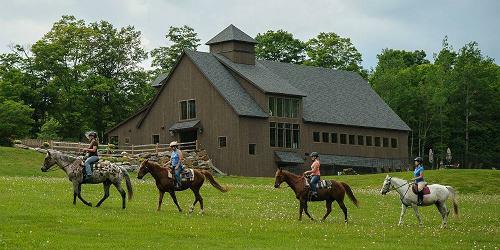 Many VT resorts offer horse stables, riding lessons, guided horseback trail rides, and tack shops with equipment for your Vermont vacation on horseback. Fall and winter also bring horse-drawn hay rides and sleigh rides. 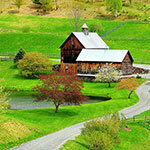 Plan a glorious day or more of riding and then get your rest at night at one of Vermont’s comfortable mountain resorts. 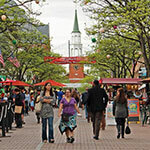 We will help you to create a personalized riding vacation to suit your needs and ability level. Located on 350 acres, surrounded by thousands more of National Forest and overlooking a recreational mountain lake is The Mountain Top Inn & Resort. One of the few resorts in the Northeast to offer horseback riding vacations, our custom tailored riding vacations can accommodate everyone from beginner to the more skilled. Enjoy the spectacular property as you walk, trot or canter through serene mountain pastures, over miles of wooded trails, the flowering fields of spring and summer and the brilliant colors of autumn’s foliage. Experienced or new in the saddle, our professional instructors will help improve your riding ability – English or Western – on your horse or one of ours. Serious riders can also take advantage of Jumping and Introduction to Cross Country Jumping instruction and clinics.